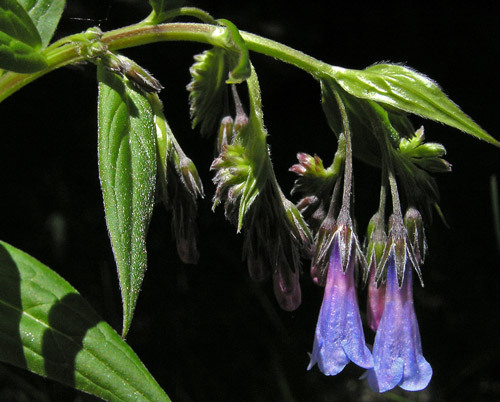 Click to read about Mertensia. 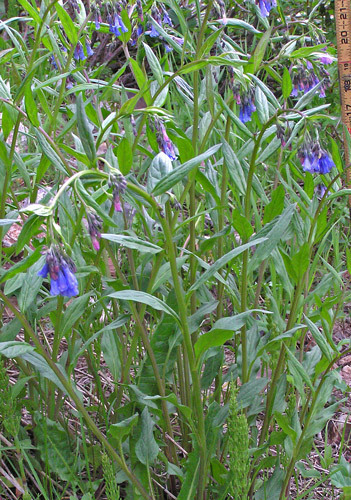 Mertensia franciscana is common along streams, in moist meadows, and in open woods. 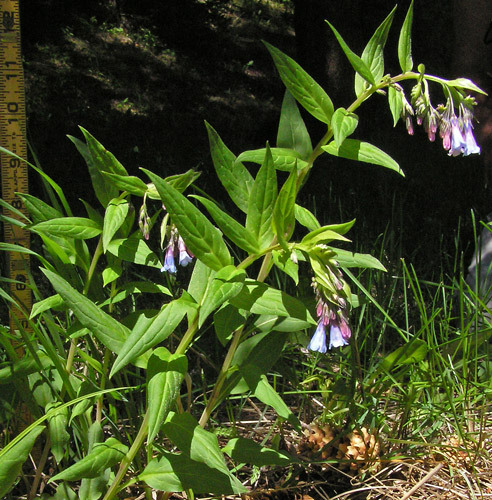 It grows in small patches as pictured here, in three or four foot diameter bush-like clusters with hundreds of flowers in bloom at the same time, or, as pictured below, as individual plants. Leaves are textured with prominent veins. Leaves have small, glistening, pustulate-based hairs. It is usually very difficult to see these hairs in the field, even with a 10x hand lens. The hairs are appressed, quite fine, and quite short. The pustulate base of the hairs shows as dark green circles. Most often one needs a microscope to see these features. Sharkstooth Trail, August 30, 2004. 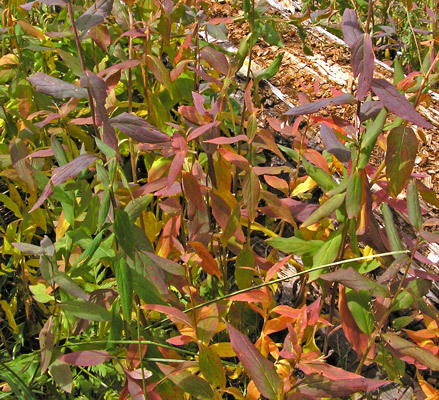 Mertensia leaf color in late summer and fall is often a subdued but handsome blend of reds and purples.